To de-pot or not to de-pot that is the question. I’ve been thinking about doing this for a very long time now and I finally got round to doing it. Here is what I did. Step one is to remove the shadow from the pot. Get a blunt knife and place it in-between the two lines on the pan. (Hard to explain but you can see on the pictures above what I mean). 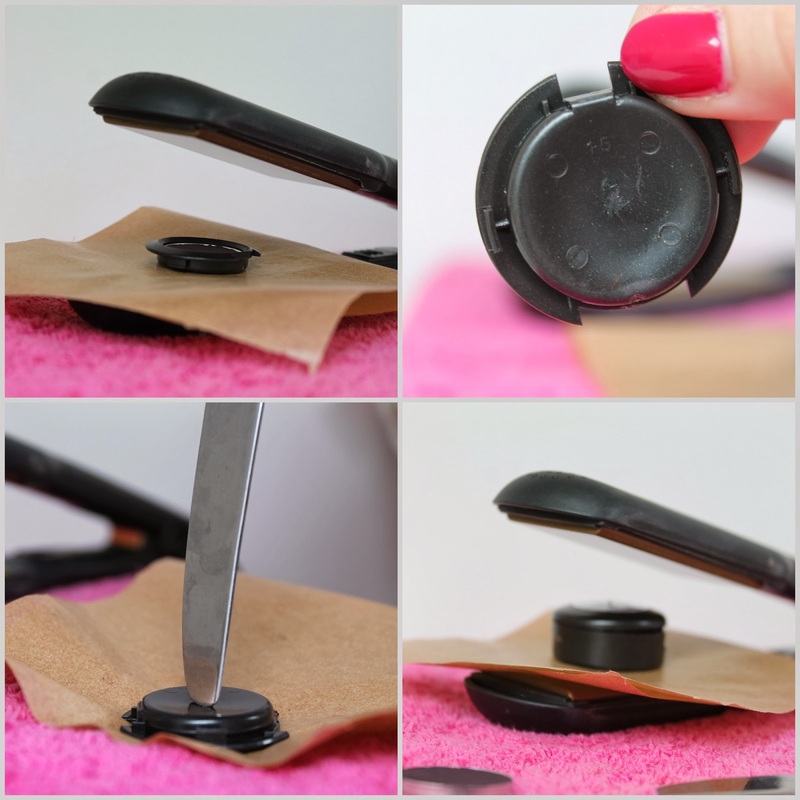 Once the pan has been removed, place it onto the grease proof paper on top of the straighteners. Leave the shadow on the heat for about 7-10 seconds, then carefully remove it (still on the paper) and flip it over using the knife. Be careful this bit is hot. As the plastic is hot and melted a little it is easy to press down with the knife in the centre to remove the pan. Now you need to remove the sticker on the back. It is easier to place this on the heat and let it melt for about 5-7 seconds. 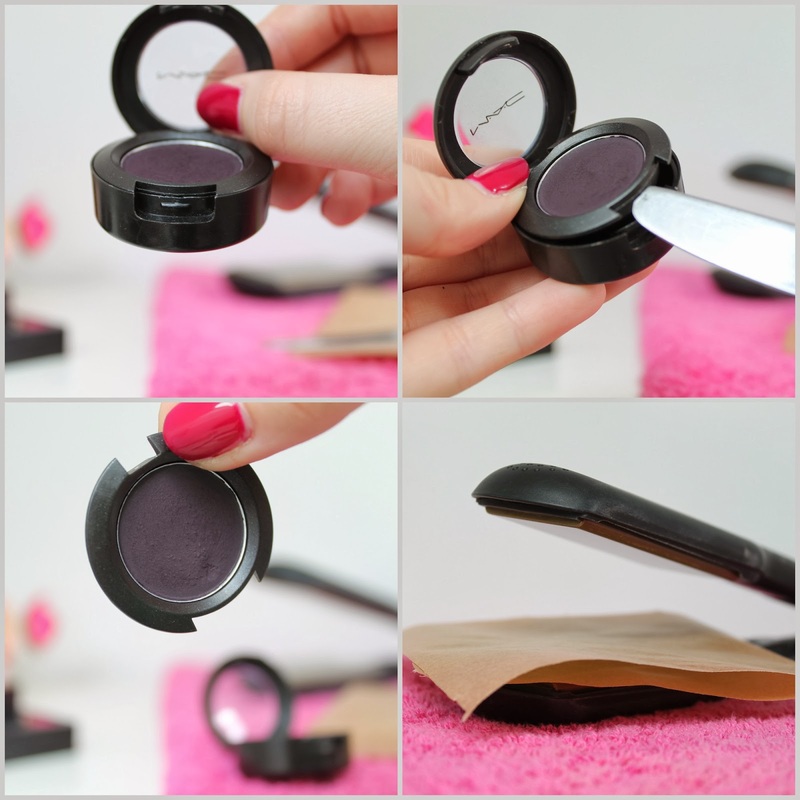 Whilst this is heating up, place a circle magnet to the back of the shadow, this allows the eyeshadow to stay in the pan and not fall out. 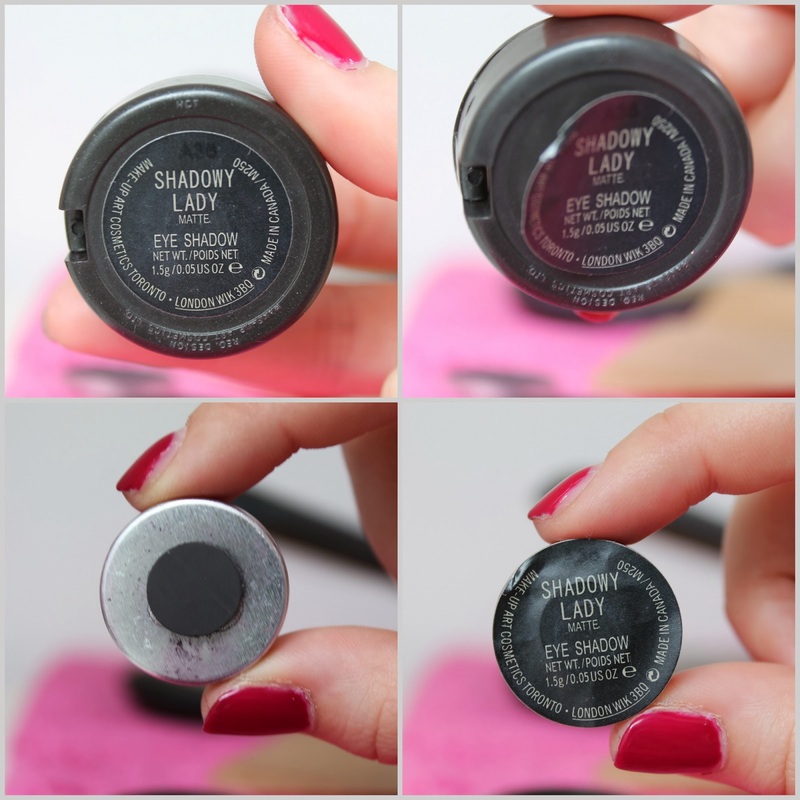 Once you’ve peeled off the sticker you can then place it onto the back of the shadow and magnet. 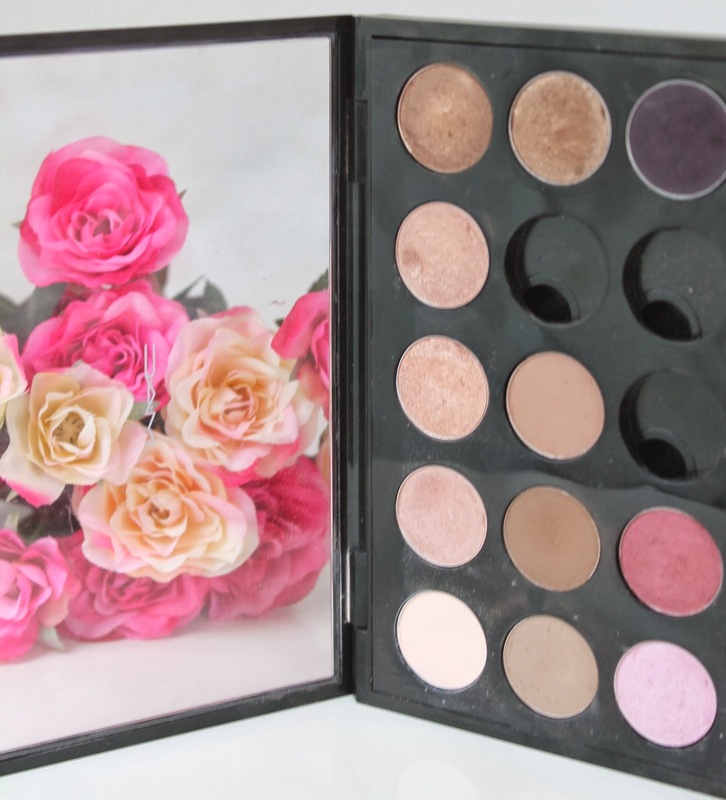 I repeated this method for all 3 of my loose eyeshadows and placed them into my palette. I am now off to buy 3 new eyeshadows to complete my palette. Do you guys have any recommendations? 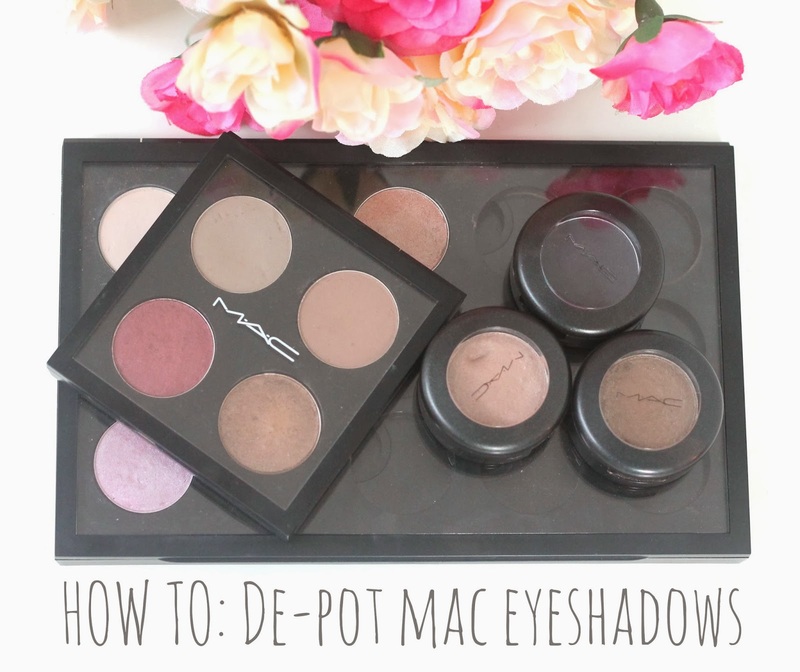 If your thinking about de-potting your eyeshadows I recommend doing so as you can safe a lot of space in your collection and can now easily see all of your colours in one place. I hope you’ve enjoyed this post, If you want me to do anymore ‘how to’ posts just let me know and i’ll be willing to give them ago. Let me know in the comments if you’ve found this post helpful. 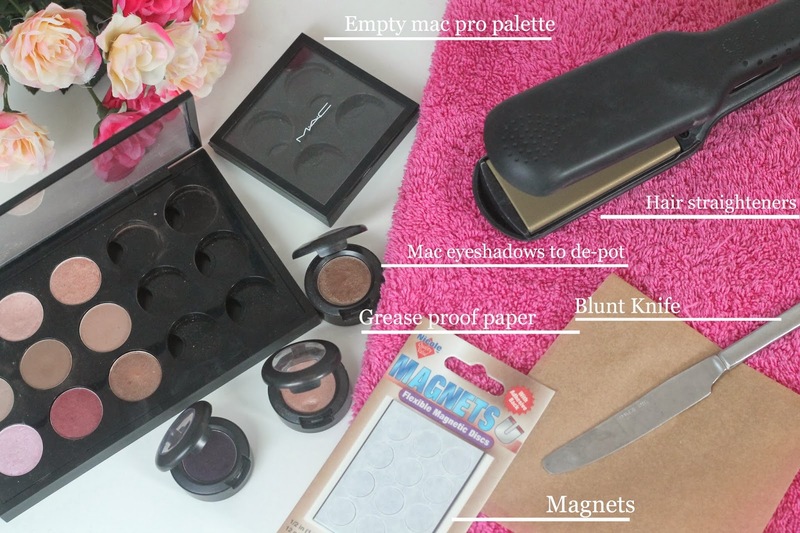 Don’t forget to follow me on bloglovin’.